The automotive industry is the third largest research and development (R&D) spender in the country and much of that R&D is focused on connected and autonomous vehicles. Willing to take a gamble on the future impact of autonomous technology, the Florida Turnpike Enterprise, FDOT, Central Florida Automated Vehicle Partners and Florida Polytechnic University have embarked on a partnership to establish a unique autonomous vehicle testing center known as SunTrax. 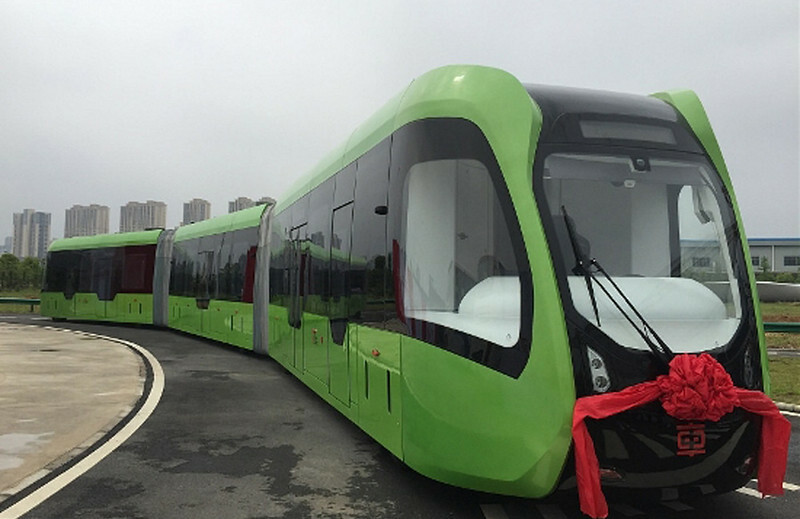 Tasked with a mission to accelerate the future of transportation, SunTrax is envisioned to become a continuously evolving, nationally recognized center for the development of innovative transportation technology solutions. Under construction since June 2017, the state-of-the-art facility will be dedicated to the research, development and testing of emerging transportation technologies in safe and controlled environments. 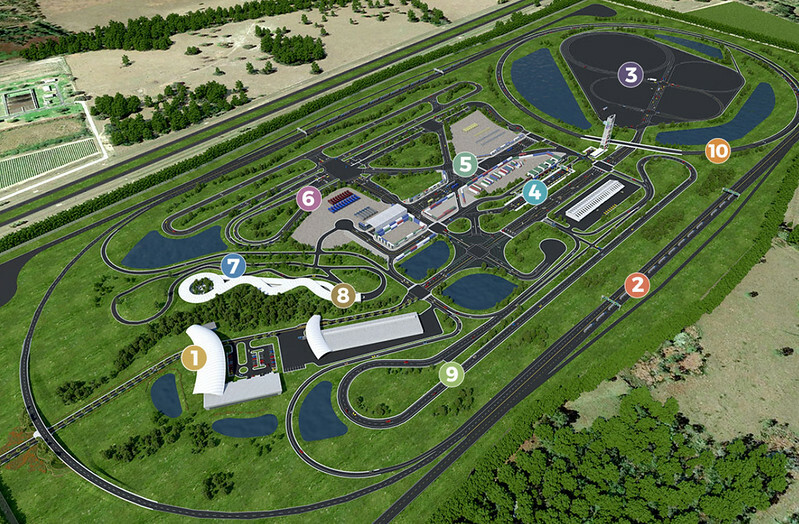 The 475-acre autonomous vehicle testing site, halfway between Tampa and Orlando, includes a 2.25-mile oval track for high-speed testing and a 200-acre infield resembling a city for the testing of difference scenarios for automonomous vehicles within an urban environment. Students at nearby Florida Polytechnic University, the state university system’s only university entirely dedicated to STEM (science, technology, engineering and mathematics), will participate in the research, development and testing of autonomous technologies at SunTrax. Recently annexed by Auburndale, a city with roughly 14,000 residents, the $42 million project is also anticipated to stimulate significant economic development in the Polk Commerce Centre Community Redevelopment Area (CRA). The 2,500-acre CRA is home to 1.32 million square feet of distribution space operated by Saddle Creek Logistics Services and Medline Industries, Inc. Its 2,500-acres of former citrus groves straddle the Polk Parkway just east of the state’s newest university, Florida Polytechnic. 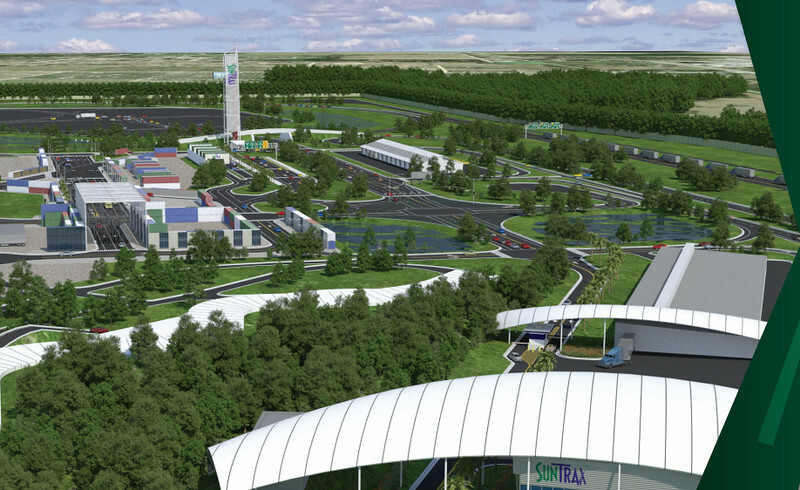 According to Paul Satchfield, Program Management Administrator for SunTrax, economic development will come in the form of businesses involved in vehicle testings generating the need for nearby office space, hotels and gas stations. 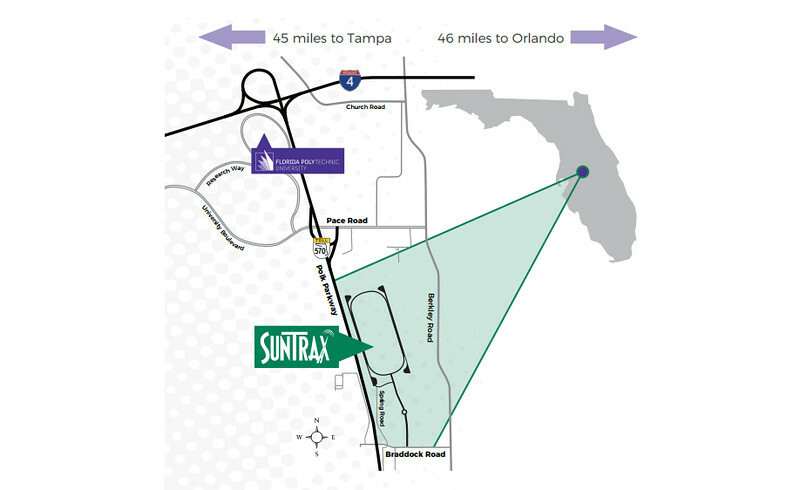 To facilitate the development of SunTrax, associated transportation infrastructure investments include the widening of the Polk Parkway and the construction of a to new electronic Parkway interchange at Braddock Road. SunTrax is expected to be completed by Spring 2019.